Back to the main Diamond T page. Below are copies of photos that former owner Robert Westacott sent to me that I really appreciate. 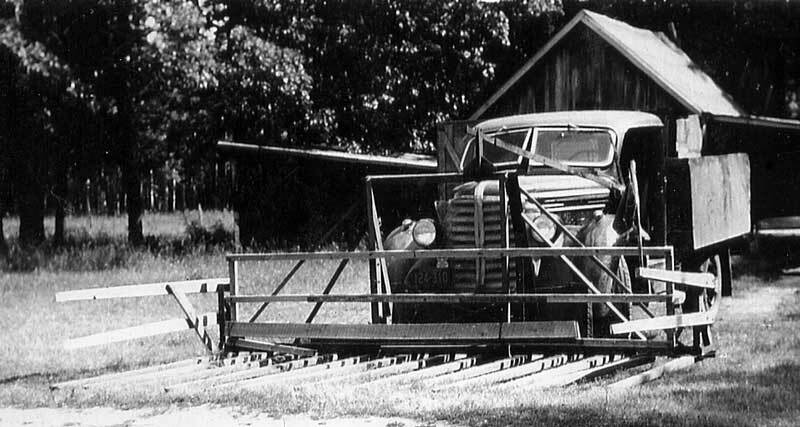 Here the truck is equipped with a “buck rake”. A buck rake was often used to gather hay that had been raked into a windrow. Driving along into the windrow, the hay would be scooped up on the long tines of the rake, lifted up and transported to the barn to be put into the hayloft. On the Westacott farm the buck rake was used to gather sweet clover and transport it to a threshing machine. I think these pictures are from the late 50’s or early 60’s. You can see that the driver’s door has been removed to accommodate and access the control lever. 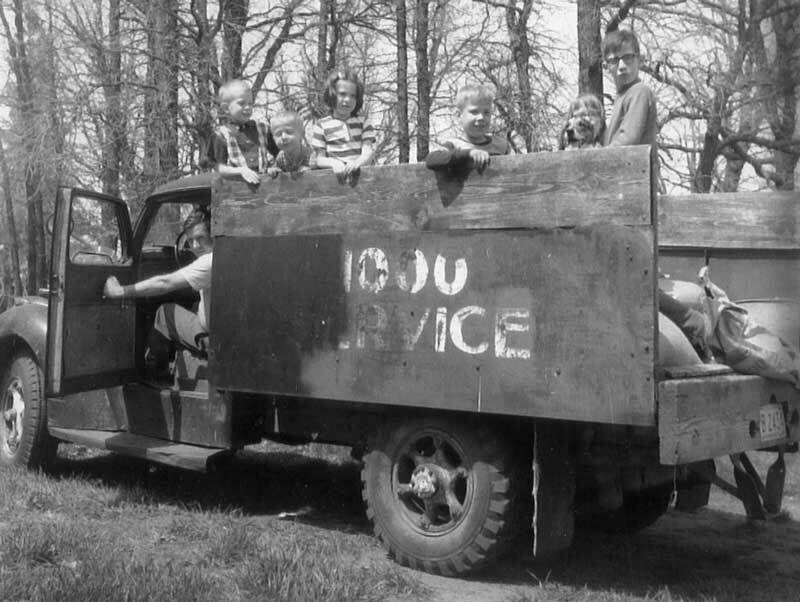 This picture, taken in the fall of 1967, shows Mr. Westacott driving, and left to right, nephew Mark, son Joel, niece Diana (Westacott) Thompson, son Daniel, daughter Mary (Westacott) Hermans and son Ted. Many thanks for permission to identify them in this web site.